Information about the CRA Conference at Snowbird. From July 16-18, the Computing Research Association (CRA) held its biennial Conference at Snowbird with more than 300 people in attendance. 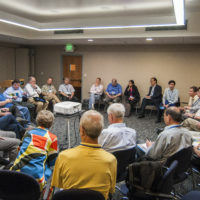 Every two years, the chairs of computing and information departments, as well as the leaders of government and industrial laboratories from across the country and the world, gather in Snowbird, Utah, to network and discuss common issues concerning the future of the field. 2018 CRA Conference at Snowbird is Almost Here! 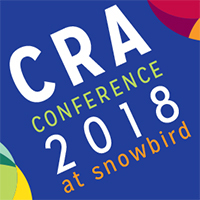 We are less than two weeks away from the 2018 CRA Conference at Snowbird. CRA is excited to welcome the computing research leadership to this invitation-only biennial conference in Snowbird, Utah July 16-18. 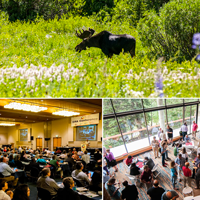 The program for the 2018 CRA Conference at Snowbird has recently been updated. 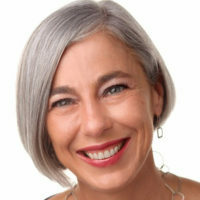 A third plenary session will consist of a panel on “Diversity in Computing Leadership” chaired by Carla Brodley. The confirmed participants include Shinder Dhillon, Head of Global Diversity & Inclusion – Engineering & Corporate Functions, Microsoft, Brian Reaves, Chief Diversity and Inclusion Officer, Dell, Inc., and Ayanna Howard, Chair, School of Interactive Computing at Georgia Tech. How can a CS Department benefit from hiring tenure-track faculty in the field of Computing Education Research (CER)? What are some of the major research questions in CER? How can CER enhance existing research in a CS department? A panel at the CRA Conference at Snowbird Meeting in July 2016 addressed these and other questions. The panelists included Diana Franklin (University of Chicago), Mark Guzdial (Georgia Tech), Scott Klemmer (UC San Diego), Andy Ko (University of Washington) and Ben Shapiro (University of Colorado-Boulder) in a session moderated by Ran Libeskind-Hadas (Harvey Mudd College). 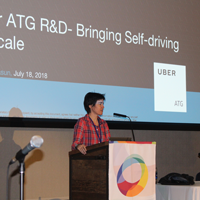 From July 17-19, the Computing Research Association (CRA) held its biennial conference at Snowbird, with more than 300 people in attendance. 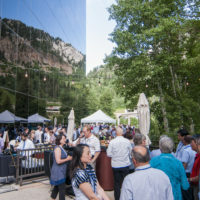 Every two years, the chairs of computing and information departments from across the country, as well as the leaders of government and industrial laboratories, gather in Snowbird, Utah, to network and discuss common issues concerning the future of the field. 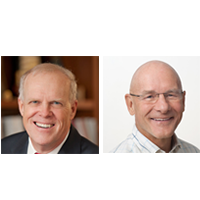 We are excited to introduce a new discussion session at the 2016 CRA Conference at Snowbird that will facilitate dialogues about a number of thought-provoking topics in computing research. The group discussions will be based on the articles and books in this post. The session is scheduled for the morning of Tuesday, July 19, so begin the final day of the conference with some stimulating conversation. CRA would like to thank the sponsors of the 2016 CRA Conference at Snowbird: Association for Computing Machinery, Facebook, Google, IBM Research, IEEE Computer Society, Microsoft Research, Mitsubishi Electric Research Labs, and the National Science Foundation. 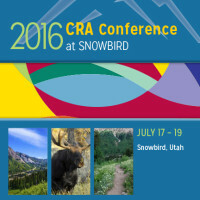 In case you missed it, last week we announced the preliminary program for the 2016 CRA Conference at Snowbird in the January issue of Computing Research News.